Need immediate assistant? Please call us. We strive to reshape the health and well-being of our community one person at a time. Our team takes their time caring for you and your loved ones. We will go over your condition in detail and your options to correct what is currently keeping you from getting better. Our team is extremely dedicated to our patients. If you suffer from spinal, shoulder, arm, hip, leg or foot/ankle pain make your appointment with Dr. Adam Trapp. He is one of the most sought after extremity practitioners in the area. "Love AFW. The entire staff is great! Dr. Trapp is awesome! He's helped my wife and I with several issues, and we could not be more pleased. Not only have we found our doctor, we consider them good friends." "Dr. Adam is a fabulous Chiropractor. I began going to Dr. Adam for care in 2012, and also taking my daughter to him for chiropractic care and sports injury rehabilitation. He is the absolute best chiropractor that I have ever had the pleasure of being a patient of, and he has achieved amazing results for both me and my daughter. He has successfully rehabilitated my daughter's severe shoulder injury, and has made great improvements to my persistent back pain issues. He is creative and comprehensive in his plans of care and treatment, and gives each patient his undivided attention. Dr. Adam goes above and beyond for every one of his clients, and I give my highest recommendation to him." "About two years ago I was in a bad car accident. It was a head on collision that totaled my car and really messed up my body. My back and neck were in extreme, constant pain, my rib cage had actually been rotated and my neck was stuck off to the side. I was unable to work, or go to the gym and simple everyday activities like getting dressed, pouring a glass of milk, and going checking the mail were practically impossible. I really thought I would never recover from the damage caused by my accident. I saw Dr. Adam Trapp for chiropractic care and immediately began to feel better. I was able to return to work a few days after starting treatment. Dr. Trapp not only worked to correct and stabilize my spine, but also to help me determine what daily postures and habits were hindering my improvement, like sleeping on my side with two pillows and the way I tend to pull my head forward when I drive. Today it is hard to believe that I was in such a bad accident only two years ago. I am able to work out longer and with more weight, I can easily handle longer hours on my feet at work, I am able to wrestle and run with my puppy… I am actually more active and feel even better than I did before my accident. And I owe it all to chiropractic care and the wisdom and skills of Dr. Adam Trapp." "Dr. Adam is awesome! When I came to my first adjustment, he took plenty of time to explain every adjustment (and answer all my questions) and how the adjustment would affect my body positively. I can't tell you how great I felt after my first adjustment--my head was on straight again and my hips were aligned. Regular adjustments have absolutely contributed to my well-being! 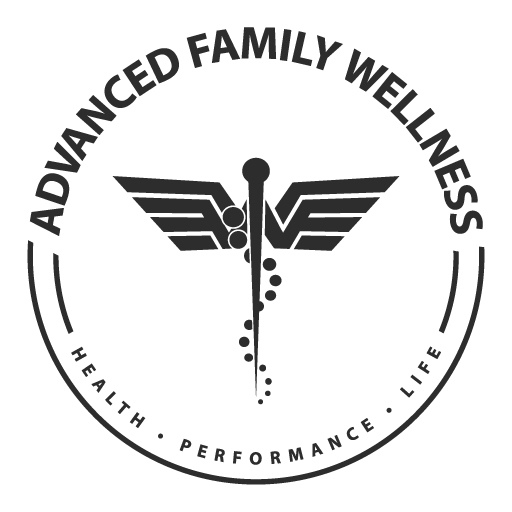 I highly recommend Dr. Adam and the team at Advanced Family Wellness!" Our comprehensive, naturally based wellness practice provides chiropractic care, myofascial release, massage therapy and physical therapy. We understand that through clear, focused, objective based treatments we can help you to restore full balanced health. Dr. Trapp is a lifelong chiropractic patient. He has a background in exercise science and health which he utilizes in his everyday practice to assist patients in their health goals. Dr. Trapp is also an extremity specialist. He focuses on the entire kinetic chain (hand, wrist, elbow & shoulder or foot, ankle, leg & hip) because he realizes how crucial the extremities play in balancing the entire body. They have a synergistic effect on balancing the body in a neurological and mechanical way.